Today we tend to think of music as a pervasive influence on our culture. Every advertisement must have a tune, every numpty on a bicycle has headphones clamped to their ears as they whizz between traffic, every train journey comes with a seat where you can plug into four or more entertainment channels. Even out in the garden or in a public park, Other People’s Music intrudes, filtering from open windows or blaring out from passing cars. But before the rise of mass radio transmissions, more people knew music. Every home above the poverty level had a piano in the corner. Even working-class children learned an instrument. Family gatherings and community events were all opportunities to join in the entertainment. If you couldn’t play, you could sing along, because everyone knew what the songs were. You’d clap your hands (when you weren’t up dancing). Back in 1832, the year of the events that take place in SHADOWBOX, access to music was almost endemic. Hymns for the church-going (which meant almost everyone Christian). Lullabies for baby. Travelling fairs and penny-whistle men. And, of course, the great composers. 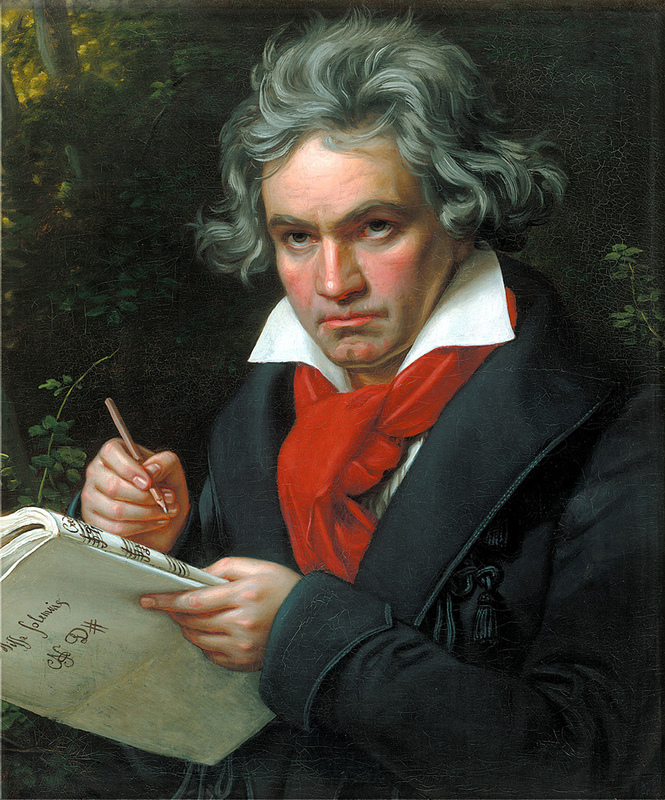 Beethoven, departed this life barely five years earlier, left a body of work that proves as popular today as it was back in 1832. Wealthy patrons expected to hear renditions of popular favourites by Mozart, Haydn or Strauss, produced using harpsichords and string quartets, with larger ensembles at the Royal Court (try the Swedish Royal Kungliga Hovkapellet on for size). Opera was popular amongst the well-to-do. 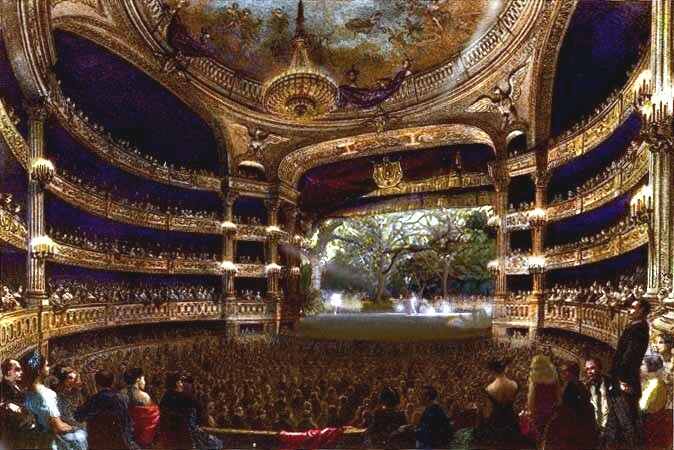 (I recommend Anne Rice’s marvellous CRY TO HEAVEN for a gripping tale of the castrati amongst Europe’s opera houses). Musical entertainment also accompanied the magic lantern shows which travelled from village to village, town to town, spreading stories as well as news, much as the newsreels of the silent cinema era barely a hundred years later. Music was not a luxury item. Most people would be involved in music one way or another. What we now call folk music thrived. Irish, Scottish, Breton, Northumbrian – European folk music was transported to the USA by migrants, where it joined the disparate musical traditions of slaves in the southern States, or in the mountains of Appalachia, to produce unique hybrids. French folk music, too, is a rich and varied palette. With more linguistic diversity amongst its people, French traditional folk music has more variety. If your French is up to it, have a go at WikiTrad. The wonderful Songs From The Auvergne by Victoria de Los Angeles has a different cadence than that of anything found on this side of the channel. Mediterranean influence vies with the chilly Breton coast and the coalfields of Alsace. Musical instruments from two hundred years ago are still around. Stradivarius violins command high prices at auction, while penny whistles are still made to the 1843 design by The Clarke Tin Whistle Company,(warning: music starts on that link) as are percussive instruments like cymbals and drums and the hurdy-gurdy. Regimental band museums are one place to see how little some instruments have changed. As a child in Scotland it seemed like every school trip to a castle – Stirling, Edinburgh, Culzean – involved gazing into glass display cases with blood-stained battle standards from the Napoleonic Wars, alongside stuffed regimental mascots and the drum of poor Billy Bones. Our ability as a species to make music out of almost anything – including the rock formations of an underground cavern at The Great Stalacpipe Organ, or a bundle of pipes such as Luke Jerram’s Aeolian Harp – is one of the defining features of humanity. 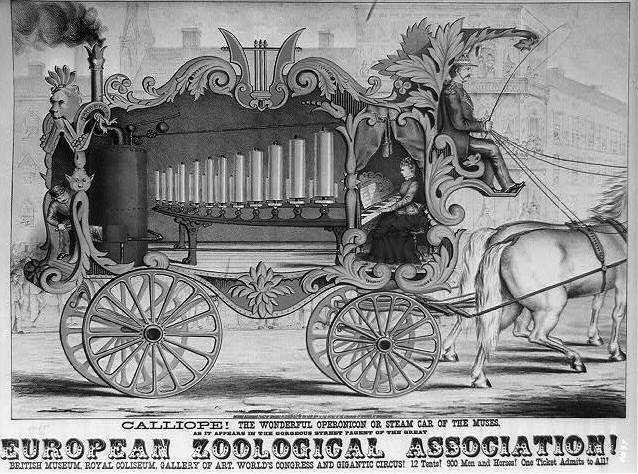 And in the 1830s that ability converted the ingenious steam engines of the Industrial Revolution into musical machines. Next post in the SHADOWBOX series: Men of Steam. Join me on the trip by subscribing to the RSS feed or sign up in the form on the right to receive posts by email. And bring a wheel-tapper.